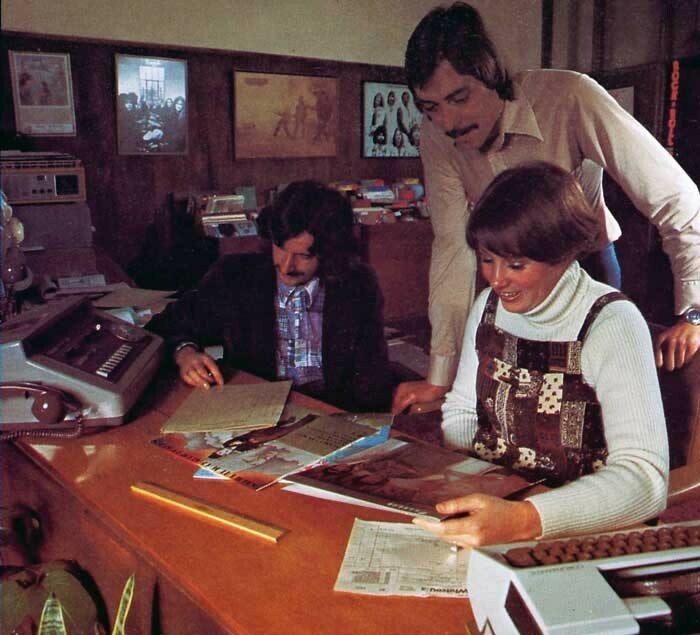 This piece was written by two employees of EMI (NZ) Ltd. in 1976 for a glossy publication to mark 50 years since the firm began in New Zealand as His Master’s Voice. 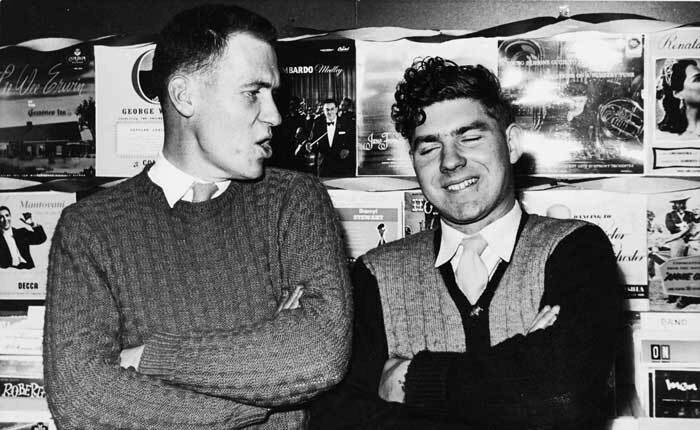 Bruce Anderson was a tireless researcher into the local history of HMV and EMI and his papers – including 89 scrapbooks - are now held at the Alexander Turnbull Library. Louise Warren joined EMI after working at Playdate magazine in Auckland. She is the daughter of jazz trumpeter Jim Warren. The occasion was also marked by the release of an LP called 50 Years In New Zealand. From 1910 until 1926 His Master’s Voice was represented in New Zealand by Messrs E J Hyams who held the licence to distribute its recordings and gramophones on a five percent commission basis. At this time the main Australasian agency for His Master‘s Voice was in Sydney. In 1926 it was decided by HMV’s parent company, the Gramophone Co Ltd of Hayes, UK, to form a New Zealand company; on 10 May 1926, His Master’s Voice (New Zealand) Limited was incorporated with an authorised capital of £50,000. Mr E J Hyams was the principal shareholder and Managing Director and Mr Alfred Wyness was also a shareholder and Director of the company. The Gramophone Company in Britain held 25 percent of the shares, and was represented on the Board by Mr W Manson, Managing Director of their Sydney subsidiary. A year earlier The Gramophone Co Ltd had established a record factory in New South Wales, and in 1926 the first Australian pressings went on sale in New Zealand. On Mr E J Hyams retirement in 1931, The Gramophone Co. Ltd. of Hayes acquired all the shares of His Master's Voice (New Zealand) Limited and Mr Alfred Wyness became Managing Director. In these early days, HMV handled a diversity of products, assembling toasters, radios, radiograms, irons and even bicycles in the old Wakefield Street premises in Wellington. Steel gramophone needles were imported from England in quantities of one million at a time and even after World War II, HMV was importing portable wind-up gramophones, mouth organs, piano accordions, trumpet mouthpieces, vacuum cleaners and valves. Gramophone records were naturally an important side of the business and these were imported from England, Europe and after 1926 from Australia as well. From 1910 HMV imported single-sided records, followed by double-sided 10-inch discs. These were all acoustic recordings until 1926 when the advent of electric recordings occurred. From then on, all releases were recorded on the new electrical equipment. HMV’s first release of an electrical recording was of Handel’s Messiah on the HMV label. In April and May 1926 Mr Ernest Dawson, a well-known record dealer based in Manners Street, Wellington, held two recitals of music played on the No 4 Sound Box gramophone. The Concert Chamber of the Wellington Town Hall was the venue, and the recitals were well attended. 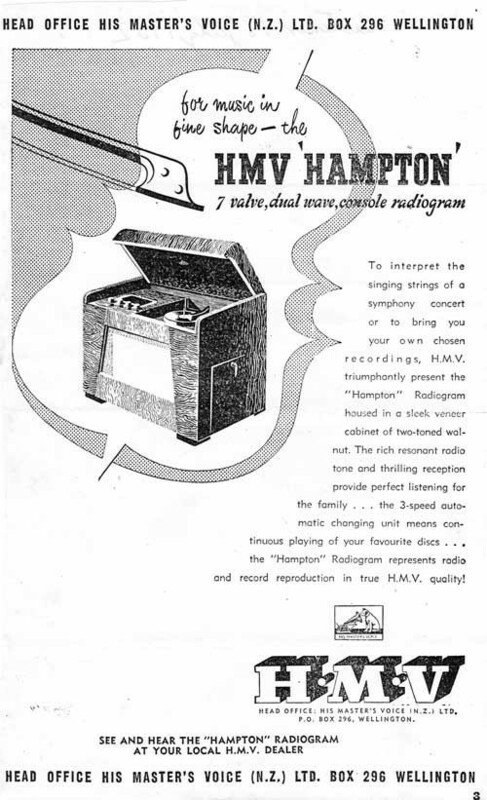 Also in 1930 HMV began importing radio gramophones, although wind-up gramophones were still selling well. The great events of the year for HMV were the launching of the new HMV gramophone with the “International” horn, and the setting up of a radio department at the Hyams building at 118-120 Wakefield Street, Wellington. This department was set up by Mr Alfred Wyness to handle imported radios from Britain and America. On 21 March 1931, the two British rivals – The Gramophone Co Ltd and the Columbia Graphophone Co Ltd – merged to form Electric & Musical Industries Ltd. (later abbreviated to EMI). This meant that in New Zealand, HMV began distributing Columbia and Regal Records as well as their own His Master's Voice and Zonophone labels. On the same day, HMV in England released a record of the Wellington carillion bells: this was recorded at Hyde Park, London, where the bells were temporarily set up before being shipped to New Zealand. The performer was Miss Gladys Watkins of Wellington, who later became the city’s official carillion player; at Hyde Park she recorded 'The Balls of St Mary’ and ‘Annie Laurie’. In January 1933 two budget labels – Columbia’s Regal and HMV’s Zonophone – merged to form the now famous Regal Zonophone label. Artists recorded on that label include Gracie Fields, George Formby, Lew Stone and Joe Loss (who, more than 40 years later, still records for EMI). In 1935 EMI in England signed a contract with English Decca (which was formed in 1929) for a pressing agreement with HMV New Zealand; these records were pressed in Australia. In 1937 Labour Prime Minister Michael Joseph Savage visited Britain for the Coronation and made a tour of the EMI factories. Back in New Zealand, household appliances became big business and HMV began to import washing machines, refrigerators, irons and toasters. 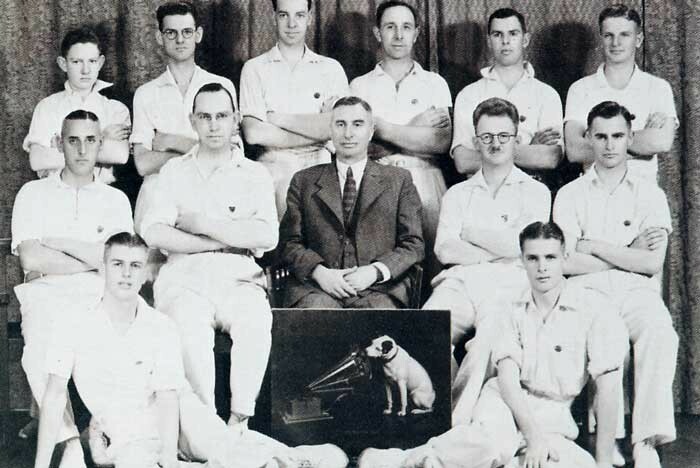 Records remained big business too, and in 1937-38 HMV was able to claim that every record played on the radio was released in New Zealand through HMV. In 1938, because of newly enforced import restrictions, His Master's Voice (NZ) Ltd. began manufacturing its own radios and home appliances. 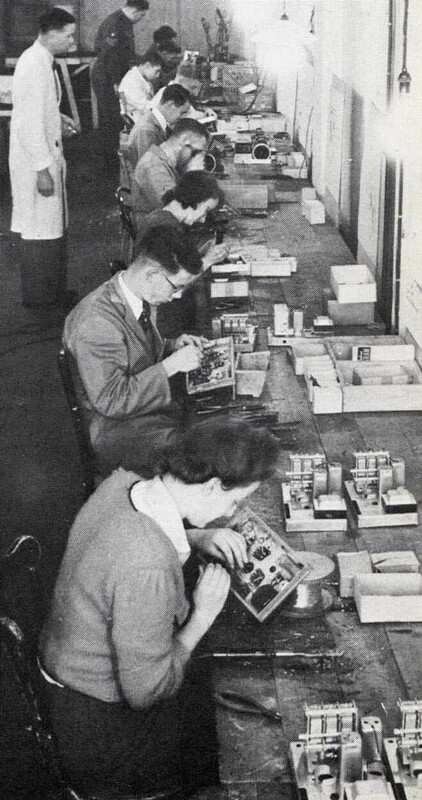 In 1940, HMV became involved with war work and the factory in Wakefield Street turned from domestic appliances to war production, producing such things as armed forces radio units. HMV (NZ) Ltd manufactured more radio units than any other radio producer in the country. In 1944 the firm employed 18 people. 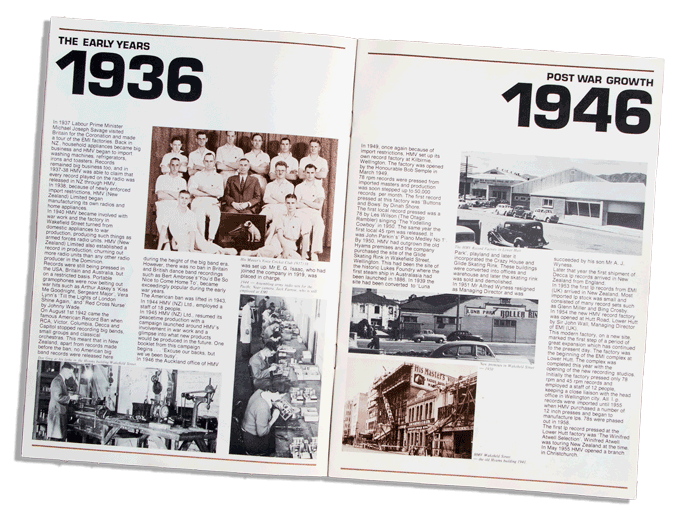 When the war ended in 1945, HMV (NZ) Ltd resumed its peacetime production. An advertising campaign stressed the company’s involvement in war work and offered a glimpse into new products that would be available in the future. One booklet from this campaign begins, “Excuse our backs, but we’ve been busy”. In 1949, once again because of import restrictions, HMV set up its own record factory at Kilbirnie, Wellington. The factory was opened by the Honourable Bob Semple in March 1949. 78 rpm records were pressed from imported masters and production was soon stepped up to 50,000 records per month. The first record pressed at this factory was “Buttons and Bows’ by Dinah Shore. HMV also pressed its first local record in 1949, a 78 rpm disc by Les Wilson (The Otago Rambler) singing ‘The Yodelling Cowboy’, although it wasn’t released until 1954, just after Wellington pianist John Parkin’s ‘Piano Medley No 1’: HMV’s first disc to be locally recorded, pressed and released. By 1950, HMV had outgrown the old Hyams premises and the company purchased the site of the Glide Skating Rink at 164-167 Wakefield Street, Wellington [now the site of the Amora Hotel]. In 1951 Mr Alfred Wyness resigned as Managing Director and was succeeded by his son Mr A J Wyness. Later in 1951 the first shipment of Decca LP records arrived in New Zealand from England; the first LPs from EMI (UK) arrived in 1953. In 1954 the new HMV record factory was opened at Hutt Road, Lower Hutt by Sir John Wall, Managing Director of EMI (UK). This modern factory, on a new site, marked the first step of a period of great expansion which has continued to the present day . The factory was the beginning of the EMI complex at Lower Hutt. The complex was completed with the opening of new recording studios. Initially the Lower Hutt factory pressed only 78 rpm and 45 rpm records and employed a staff of 12 people, keeping a close liaison with the head office in Wellington city. All LP records were imported until 1955 when HMV purchased a number of 12-inch presses and began to manufacture LPs; 78s were phased out in 1958. The first LP record pressed at the Lower Hutt factory was The Winifred Atwell Selection in 1955, while Atwell was touring New Zealand. 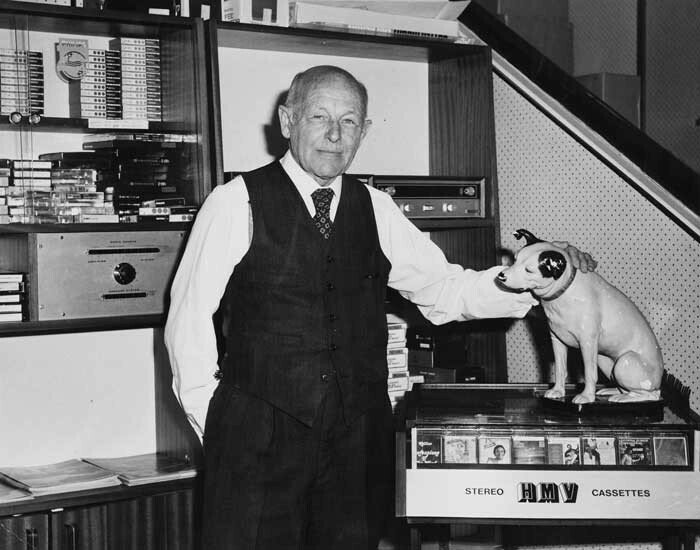 In 1956 His Master's Voice (NZ) Ltd. began pressing Capitol Records. EMI (UK) had bought most of the shares in Capitol’s American operation the previous year, although EMI (UK) did not release Capitol in the UK until 1957. Capitol is now fully owned by EMI and operates as our North American subsidiary. HMV’s earliest local releases were recorded by independent studios such as Sonic and Astor The first local recording session for HMV took place in its Wakefield Street cafeteria in 1958: 'Poor Little Fool’ by Paul Walden backed by the Mana Quintet, was released on 45 in November that year. 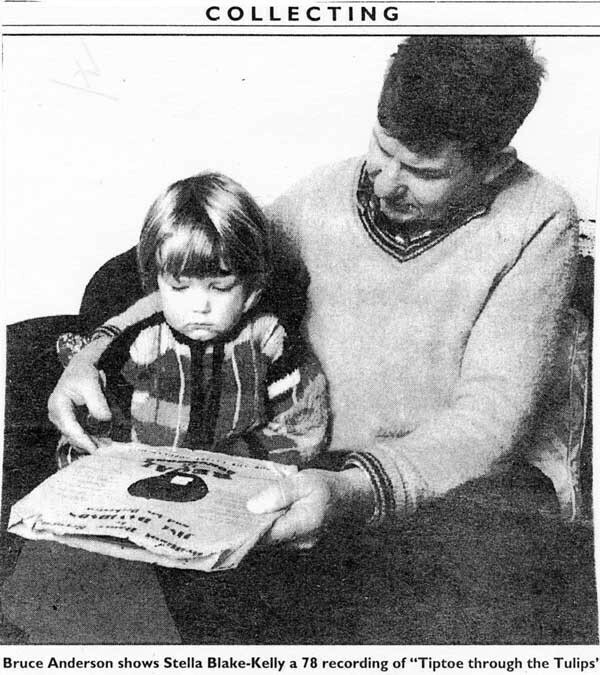 The record made the charts and was shortly followed by New Zealand’s first locally made 10-inch LPs; these were recorded at the NZBS’s Wellington radio studio by Jack Thompson and John Parkin. The biggest selling local single in 1955 was Johnny Cooper’s ‘One By One’ c/w ‘Look What You’ve Done’. 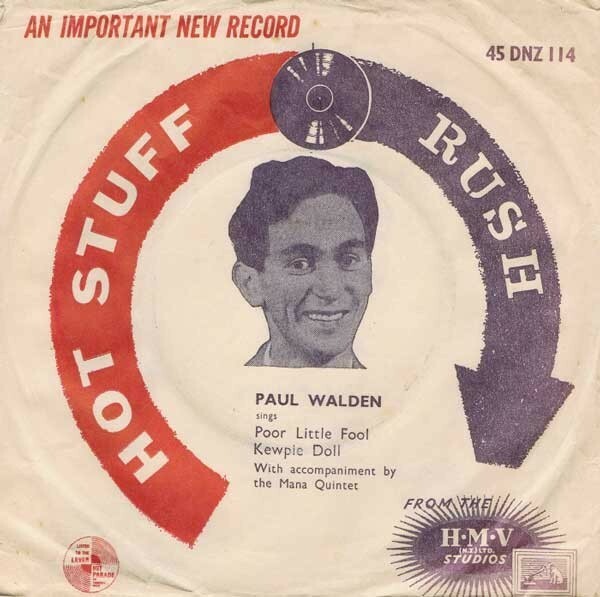 Paul Walden's 'Poor Little Fool', the first record recorded by HMV themselves in New Zealand, in 1958 (earlier HMV records had been recorded elsewhere). It was recorded in their cafeteria. Two musical revolutions took place in the decade that followed. Rock’n’roll boomed in the 1950s, with a young audience who had the money to buy record players and rock’n’roll records. Cliff Richard and The Shadows were one of HMV's biggest selling groups in the late 1950s and a New Zealand tour helped boost sales to record proportions. The second musical revolution began in the early 1960s with the Mersey Sound, and later became known as the British pop revolution. 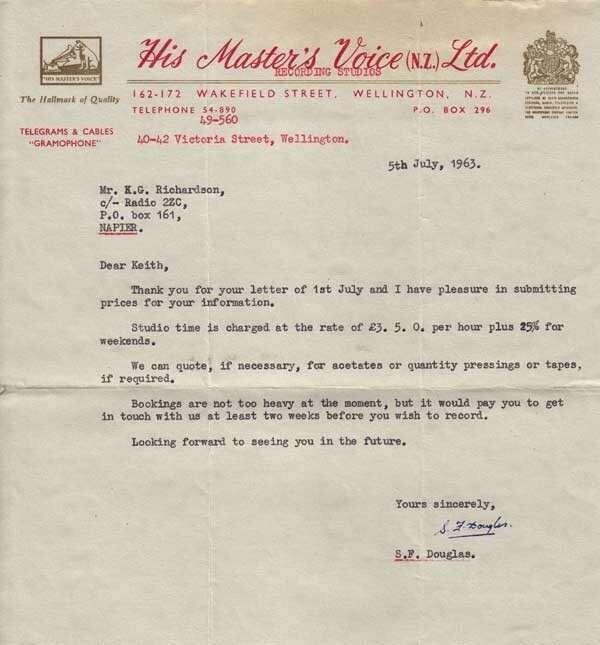 EMI (UK) had signed The Beatles and HMV (NZ) also had rights to The Rolling Stones through the Decca Label. This music brought a new wave in recording techniques, and stereo equipment became more readily available on the New Zealand market. At the Wakefield Street head office in 1962, the old Glide Skating Rink was demolished and HMV’s bulk store and cafeteria were moved into the main building. A year later HMV bought Lotus recording studio in Wakefield Street, and from 1963 to 1966 this studio was responsible for producing early New Zealand hits by such artists as The Howard Morrison Quartet, Patrick O’Hagen, Maria Dallas and Dinah Lee. 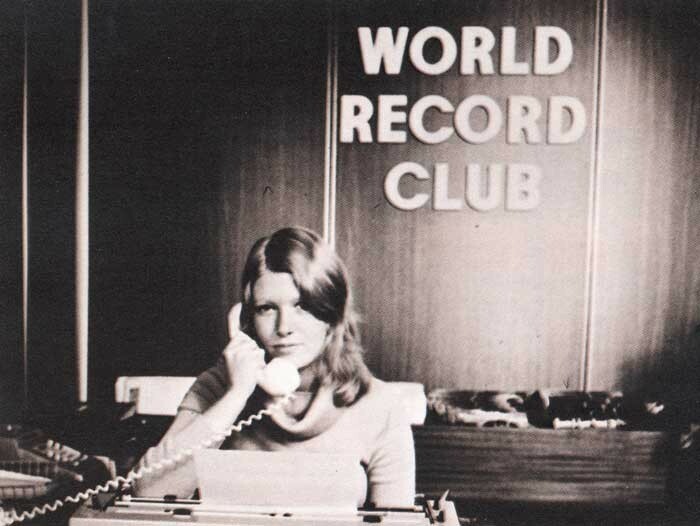 In March 1960 HMV launched the World Record Club (a division of EMl), offering classical recordings for 10 shillings. This was a resounding success and at the end of the first week, 14,699 members had been enrolled. After one month, membership had grown to over 23,000. In the early 1960s, the HMV record factory in Lower Hutt began re-milling deleted albums. The chips were used to make 45 rpm records, a recycling process which continues today. In 1963 His Master's Voice (NZ) Ltd. put out its first album catalogue for the general public. Also during the early 1960s, HMV expanded its manufacturing interests by purchasing shares in N.R. Cunningham Ltd., a Masterton-based company producing washing machines, refrigerators, and deep freezers. This involvement continued through until 1973 when EMI sold these shares to Simpson Pope Industries and divorced itself totally from this type of product. As part of the sell-off transaction from the Masterton group, EMI took over total shareholding in what was then the Columbus chain of retail appliance outlets. Within the first year, the name of these shops was changed to EMI Music Centres and the operation was set up to sell a range of stereo equipment together with records. Later this operation was combined with the record shop operation to give 15 shops in total, spread throughout the country. The retail operation continues to thrive, with branches in Auckland, Napier, Hastings, Taihape, Rotorua, Tauranga, Lower Hutt, Wellington, Timaru, Westport, Greymouth, Christchurch and Dunedin. Throughout the sixties, as the record business grew and advanced, HMV expanded more and more. In 1969 His Master's Voice (NZ) Ltd. released its first range of budget albums on the Regal label. This was the name its subsidiary Columbia had used for its budget records back in the 1920s. Meanwhile, the local recording scene flourished in the late 1960s; assisted by the arrival of television, New Zealand’s first “pop stars” emerged. Perhaps the most popular of these was Mr Lee Grant, but artists such as Allison Durbin, Maria Dallas, Craig Scott and The Simple Image all attracted large followings. 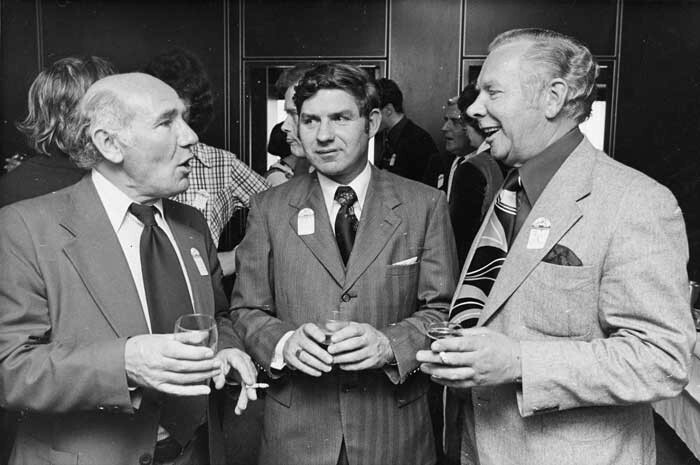 On 1 February 1973, Mr A J Wyness retired as Managing Director and was succeeded by Mr Leslie Hill from EMI (UK). Among other things, Mr Hill was responsible for the restructuring of HMV (NZ) Ltd, and during his short stay he set about creating a new image for the company. During this time the brown goods factory at Elsdon – producing radios and stereo equipment – was completely taken over by HMV. In keeping with a worldwide policy, on 1 May 1972, His Master's Voice (NZ) Ltd. changed its name to EMI (New Zealand) Limited. In 1973 the old His Master's Voice label was retired and replaced with the band new EMI label as part of a global rebranding. Whilst there had been a company called EMI Ltd. there had never been a label of that name before. 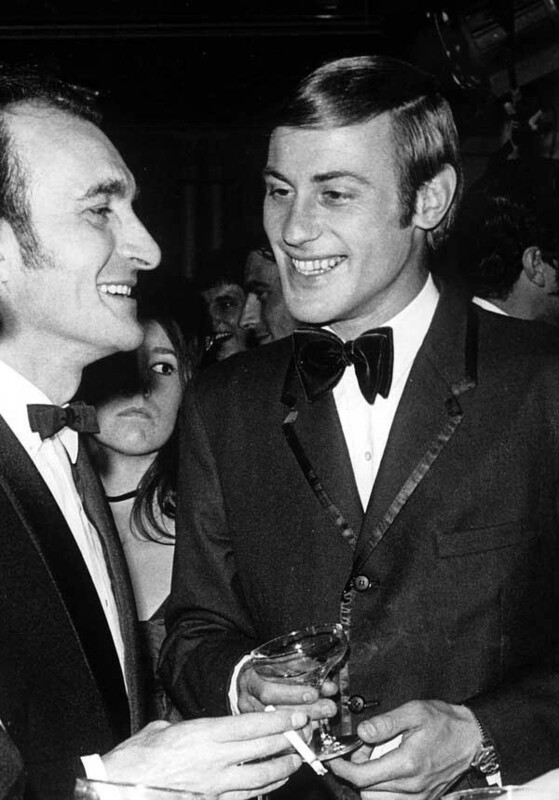 Mr Hill returned to EMI in London in July 1974 and became Managing Director of EMI Records Ltd. In New Zealand he was succeeded by Mr Mike Wells, our current Managing Director, who had been transferred from EMI in Argentina. 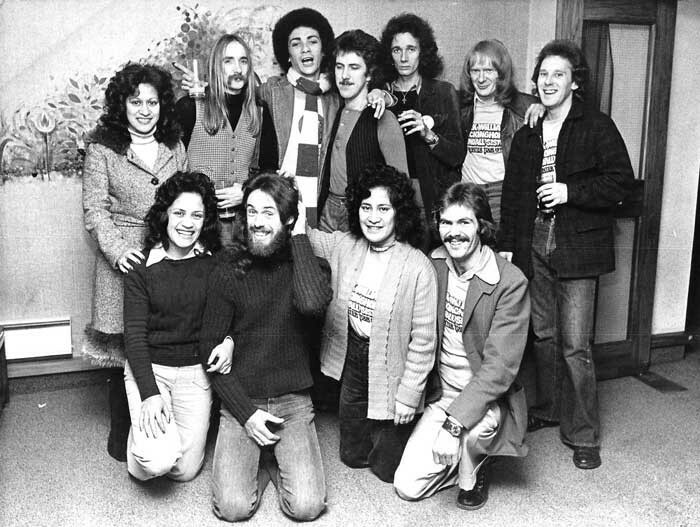 In February 1975, EMl’s head office moved to a new, specially designed building in Lower Hutt and in April of that year, the EMI record warehouse vacated the Wakefield Street premises and moved to the new Distribution Centre on the Hutt Road. In August 1976, the old Wakefield Street building which had housed EMI for 25 years was demolished. Once the head office and warehouse move to Lower Hutt was completed, work began on the new recording studios to complete the EMI complex. 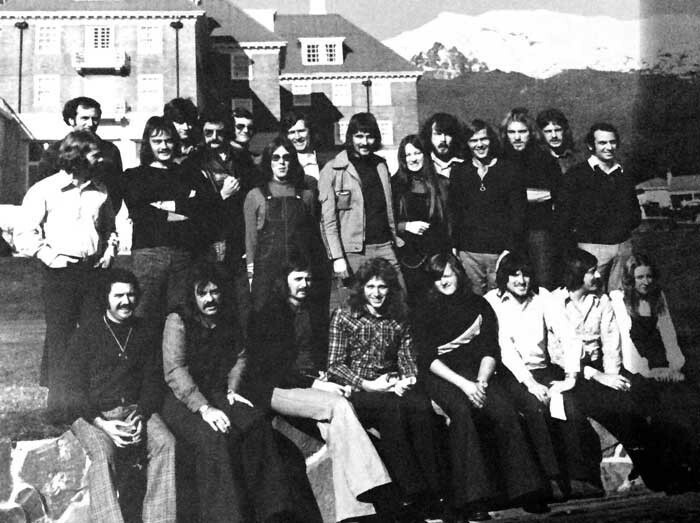 Completed in August 1976, the studios offer the most modern recording facilities in the Southern Hemisphere. Now, with the cassette department and cover-making machines installed at Lower Hutt, the EMI complex – employing over 300 people – is complete. We’ve come a long way in the last 50 years. Here’s to the next half a century! EMI (New Zealand) Limited is a subsidiary of EMI Ltd., a UK based company with operating subsidiaries in over 30 countries. EMI Ltd. describes itself as ‘The International Music, Electronics and Leisure Group’. Worldwide business interests of EMI Ltd. include records, music publishing, musical instruments, hotels, restaurants, television, theatres, film production, cinemas, squash courts, as well as other leisure activities and electronic products of many kinds. EMI (New Zealand) Ltd. employs over 300 people with branches in Auckland, Christchurch and Dunedin. The history of EMI Recording dates back to 1963 when HMV bought out half shares in Lotus Recording Studios, situated at 42 Victoria Street, Wellington. In 1960 Lotus Recording Studios were initiated and privately owned but in 1962 they were sold to the company of Green & Hall Ltd. It was with this Company, one year later in 1963, that HMV owned 50/50 shares. 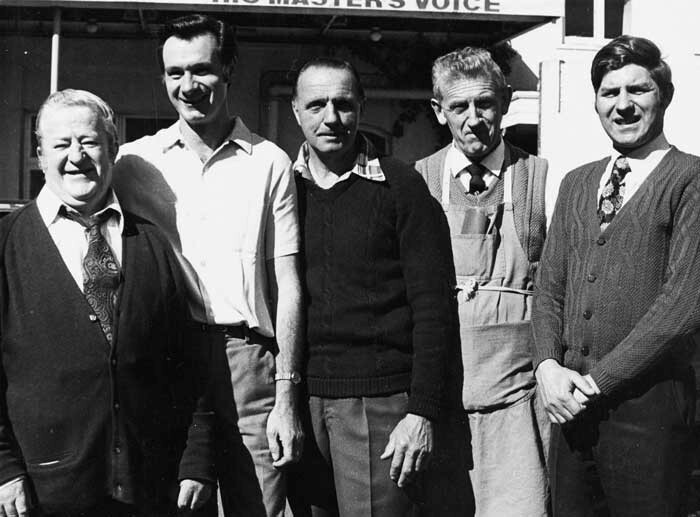 In 1964 HMV bought out Green & Hall to own the Lotus Recording Studios outright; the name Lotus was dropped and HMV Studios were formed, fully owned by His Master's Voice (NZ) Ltd. Two years later, the HMV Recording Studios moved from Victoria Street, Wellington, to join the HMV main office in Wakefield Street, Wellington. All recording and cutting facilities were mono until the introduction of stereo recording in 1963, when HMV imported the first stereo recording machine into New Zealand — It was an Ampex 350/2. As stereo cutting facilities had not yet arrived in this country, it was necessary for the recorded tapes to be sent to either Australia or France for cutting and the mothers were sent back to HMV in New Zealand for processing [mothers are metal versions of a disc, from which stampers are made for cutting and pressing]. One of the first stereo recordings sent to France from New Zealand for cutting was a record by Kiri Te Kanawa. During these early years, the HMV Studios were responsible for recording such hits as Dinah Lee with the ever popular ‘Blue Beat’ and Maria Dallas with her hit ‘Tumblin’ Down’. 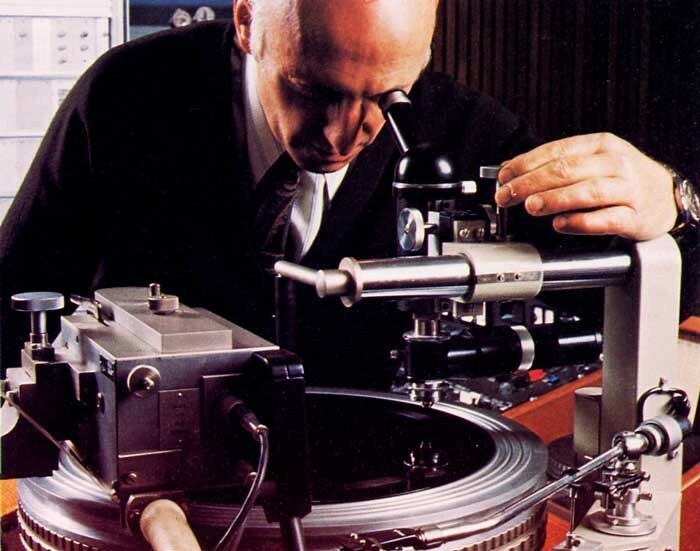 In 1966 to coincide with the move of the studios to Wakefield Street, HMV imported a Neumann stereo cutting lathe which was the only stereo cutting lathe in New Zealand for as long as 5 years. 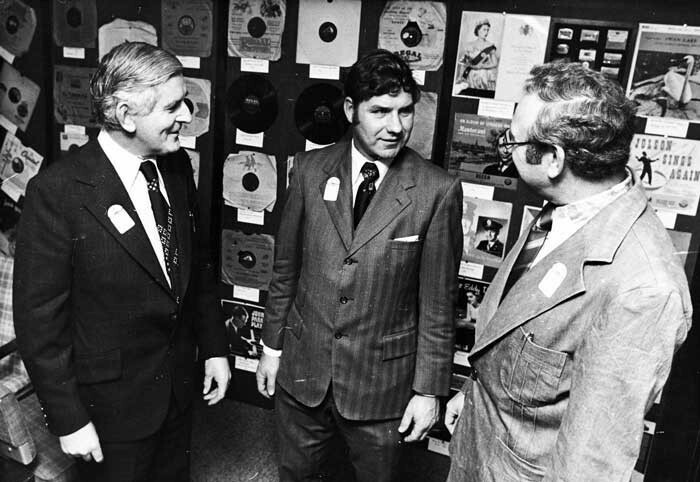 Also in this same year, HMV imported a 4-track recording machine and doing so was the first to offer such facilities in New Zealand; the recording facilities were further expanded in 1969 when 8-track recording was introduced. In May 1972 HMV changed its name to EMI (New Zealand) Limited bringing about the present name of EMI Recording Studios. The facilities were expanded to 16-track facilities in 1975, giving EMI (NZ) Limited the latest EMI/Neve desk fully equipped for Quadrophonic sound, and the latest JBL speakers. The 1966 move to Wakefield Street had coincided with the rapid growth of our recording studios and the number of popular artists who recorded with us increased. Allison Durbin recorded her greatest hit ‘I Have Loved Me A Man', Mr. Lee Grant made history with ‘Thanks To You’ and popular New Zealand groups such as The Fourmyula and The Simple Image paved the way for local artists. 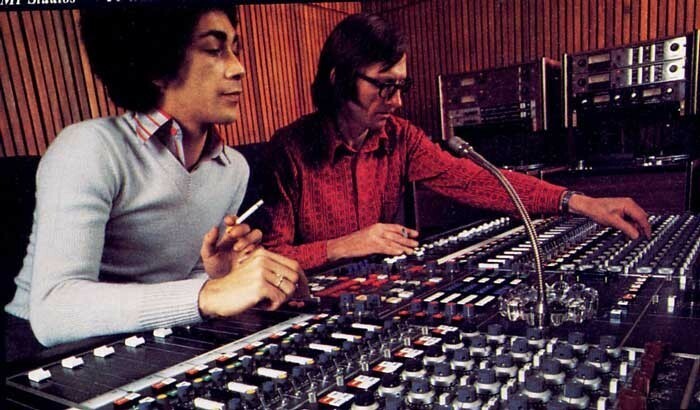 More recently Mark Williams, Fred Dagg and Rockinghorse have all received Gold Discs for LPs they recorded at EMI. 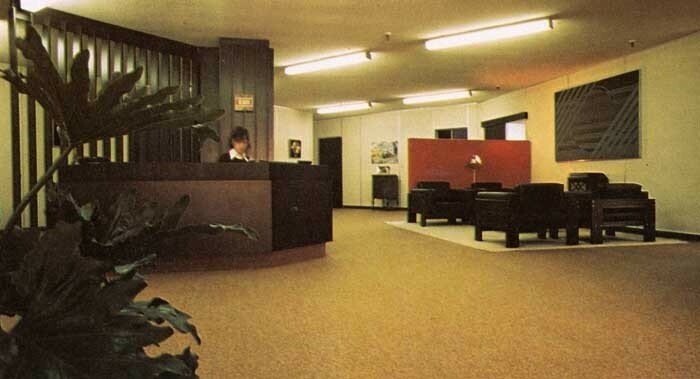 To complete the expansion of EMI Recording Studios, in July 1976 the Studios moved to a new complex in Lower Hutt. Adjacent to EMl’s main office, and with a value in excess of half a million dollars, the studios give EMI New Zealand the most comprehensive recording facilities in the Southern Hemisphere. New Zealand can now offer local and overseas artists a standard of recording comparable with any studio in the world. With a total area of approximately 6000 sq ft, the studio building houses four separate recording studios and two disc-cutting suites. With our new studio complex and a team of professional engineers involved with operation, the future looks very exciting for the recording side of EMI (New Zealand) Limited. EMI (NZ) Ltd. is presently represented throughout the country with 15 retail outlets. The EMI Music Centre chain consists of 11 stores situated in Auckland, Rotorua, Tauranga, Taihape, Napier, Hastings, Lower Hutt, Westport, Greymouth, Timaru and Dunedin. These stores specialise in audio equipment, colour television and records and cassettes. The EMI Record Centre chain consists of four stores situated in Wellington, two in Christchurch and one in Dunedin. These are specialist record stores catering for virtually every taste in recorded music. To present a more uniform image, as each store is due for refurbishing we shall be using the name The EMI Shop. We have a major expansion programme at the present time. We will be opening at least two new record stores in this coming year. It is our intention to have a retail outlet in every city in New Zealand. 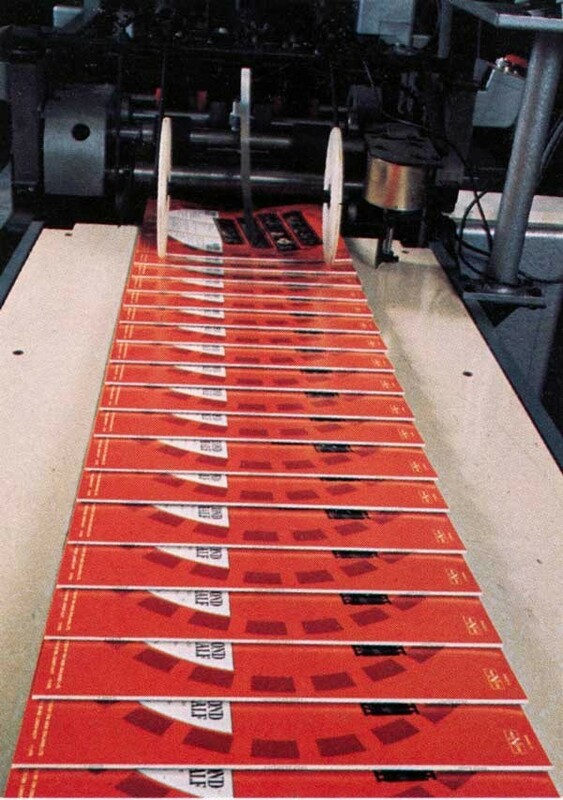 The most widely appreciated and accepted of our innovations was the sealing of every LP record in a re-useable plastic outer, thus ensuring that our customers receive their purchases in ‘factory fresh’ condition. Our retailing philosophy is to provide the widest choice of recorded music from both local and overseas sources, and to ensure that our customers receive the best possible service. Manager of the Retail Division is Fred Frost who took up his position at head office in November 1975 after three years in our Tauranga shop. He is assisted by Retail Records Manager Godfrey Woods. The Retail department employs a staff of 51. The Distribution Centre, a division of EMI Records, is situated on the Hutt Road, opposite the main EMI building. Converted into a record warehouse in 1975, the Distribution Centre is equipped with the most modern record storage facilities available. The “picking” units have been specially designed to make the collation of record orders as simple and efficient as possible. Record orders are generally received by telex from areas outside the Wellington province and the Distribution Centre is set up to work on a 24-hour turnaround system. This means that the requested orders are received by customers within 24 hours of the orders arriving in Wellington. The records and cassettes are picked from their respective racks, placed in trolleys and delivered to the checking room where they are invoiced and checked before being packed and despatched to record dealers throughout the country. The Distribution Centre liaises closely with the Record Sales and Pre-production departments to ensure that stock levels are kept high and under a new stock-control system recently installed, our stock levels now stand at a steady 95 percent of product in stock. This means we can provide a better service to our customers by being able to fulfil their orders immediately. The EMI Distribution Centre services over 1000 record outlets in New Zealand and on an average 5000 albums and cassettes are despatched from there every day. The Distribution Centre carries stock of 1025 album titles, 197 cassette titles, 210 singles titles, and 75 EP and LP titles in its racks. Bulk supplies are placed in the record store on delivery from the record factory and are transferred to the picking bins as required. The Distribution Centre employs a staff of 17 people.